Conversely, 28 percent of respondents reported thinking that the allegation is “not credible” while the plurality of those polled either were “not sure” about the credibility of the allegation (14 percent) or hadn’t heard enough information to come to a conclusion (32 percent). YouGov pollsters conducted the survey with one thousand respondents on Monday and Tuesday, so the results represent Americans’ reactions to the initial coverage of Ford’s sexual assault allegation this week. These numbers may come as a surprise to those who have watched the overwhelmingly supportive coverage that Ford’s allegation has received in most mainstream news sources, including Sunday’s Washington Post piece that first laid out Ford’s more detailed claims about Kavanaugh. In subsequent coverage of the allegation early this week on outlets like CNN and MSNBC, journalists and pundits have typically assumed that Ford’s allegation is either definitely true or very plausible despite having little to no corroborating evidence for the story beyond the professor’s own words. In the meantime, other reporters have devoted intense energy towards looking for confirming evidence of Ford’s allegation, sometimes from extremely dubious sources. 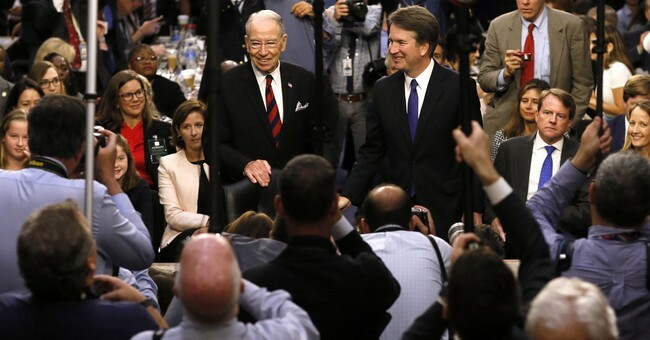 For example, just in the past couple of days, Cristina King —a former classmate of Ford’s —wrote a long Facebook post claiming with complete certainty that she and other classmates knew and gossiped about Kavanaugh’s alleged sexual assault shortly after it occurred and assured the public that Ford’s story was true. However, after allegedly being bombarded by various news outlets (including The Washington Post, CNN, and CBS News) requesting interviews, King spoke to NPR and publicly retracted her claims. King’s retraction came after revelations of multiple basic inconsistencies between her version of events and Ford’s were widely publicized via The Drudge Report and Mediaite. The results of YouGov’s new survey, which contained fourteen other questions related to Brett Kavanaugh’s nomination to the Supreme Court, can be reviewed in full at this link via The Huffington Post.